Oil and gas industry sites and chemical processing plants inevitably face the problem of air pollution with various substances, including hazardous additives and gases. A significant concentration of hazardous substances in the atmosphere results in adverse health effects and environmental contamination. Controlling the emissions of industrial enterprises is a crucial factor in health and safety. A common solution is to use stationary sensors, placed along the external perimeter of the enterprise area. The S5 Gas Detector allows the performance of credible, high-precision measurements. Equipped with a multi-gas detector, the robot can move along the fence line and continuously measure the concentration of gases and contaminants in the atmosphere. By combining this data with the terrain map and taking into account the effect of the wind, it is possible to predict the pollution bubble and its focus. All the S5 Series Robots are equipped with cameras to provide panoramic surveillance and transmit video footage to the control center. 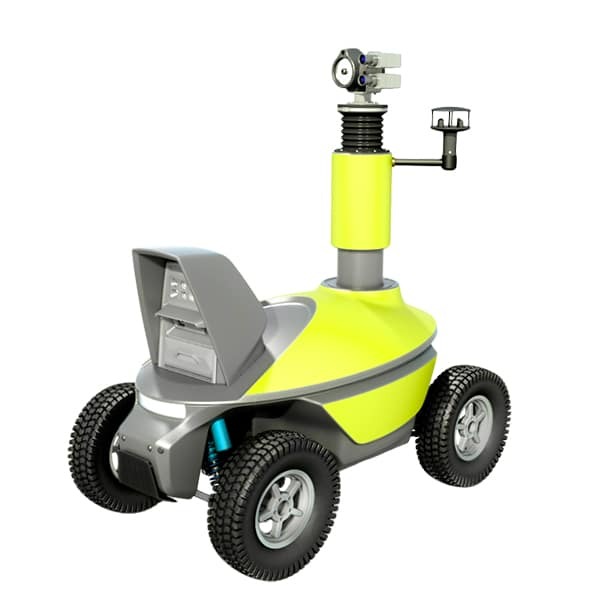 Equipped with a night vision cameras, the S5 Robot is perfectly suited for patrolling along an external perimeter fence line of a chemical plant or an oil and gas facility. The S5HD robot, equipped with HD cameras, is well-suited for visual inspection of equipment. Gas pipelines are extremely long, and controlling their integrity is crucial for disaster prevention. In most cases, the condition of pipelines is monitored through gas leak detection. Gas sensors are used for this purpose. Remote gas leak detection makes mobile inspections easier. The S6 series robots help to automate gas leak detection and are effective for inspecting open pipelines. The S6 model is equipped with a gas detector capable of measuring methane concentration within a 1.7-yard wide area. This makes it effective for automatic scans of the near-surface ground layer above an underground gas pipeline. A similar model based on an off-road powertrain is well-suited for field inspection away from roads. With its high cross-country capacity and a satellite navigation system, the A6 Optical Methane Detector (OMD) Robot is capable of high-precision movement along the route above the underground gas pipeline. Inspecting the condition of numerous pieces of equipment located at chemical and petroleum industry sites by using a thermal imaging camera is a practical way to detect abnormal heating areas. The thermal imaging camera allows remote performance and therefore rapid inspection of chemical equipment, pipelines, and electrical systems. Regular thermal imaging inspections help prevent emergency situations at an early stage. The S3 Thermal Imaging Inspection Robot is designed to replace manual inspection with automatic scanning. This robot is equipped with infrared and optical spectrum cameras installed on a pan-tilt unit. 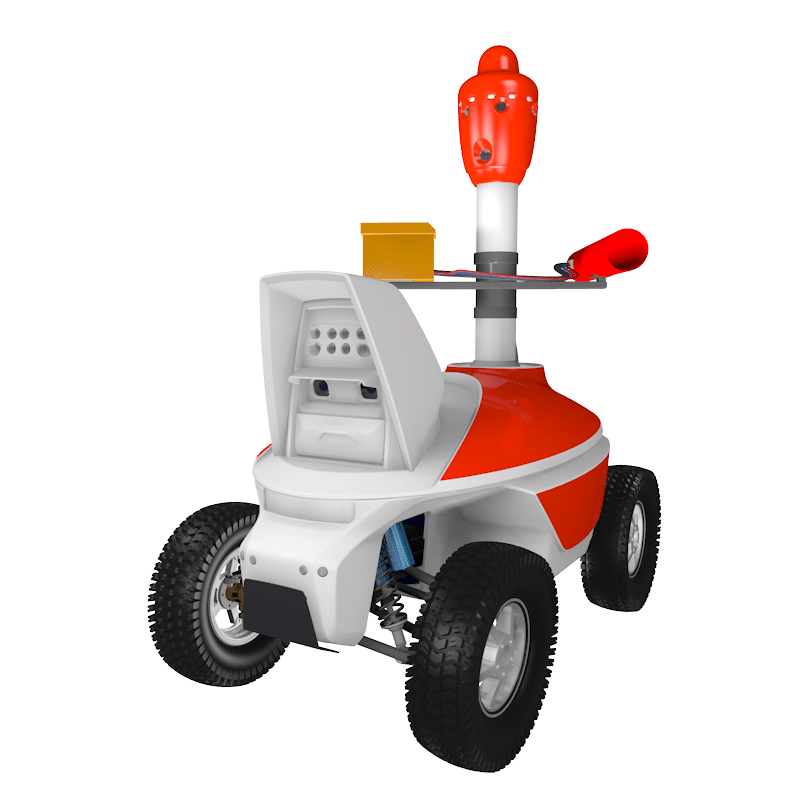 With its autonomous guidance system, the robot is able to automatically cruise between the inspected machines and scan them. The images provided by the cameras in two different spectra are merged together and then transmitted to the main control center when an abnormal heat increase is detected. Stable and safe operation of petrochemical facilities is impossible without ensuring physical safety right within their areas. For big enterprises, this objective requires the services of numerous security guards. 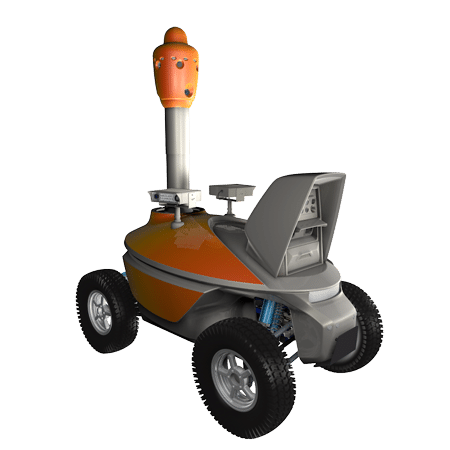 The S5 Perimeter Patrolling Robot helps maintain control over the petrochemical facility perimeter. 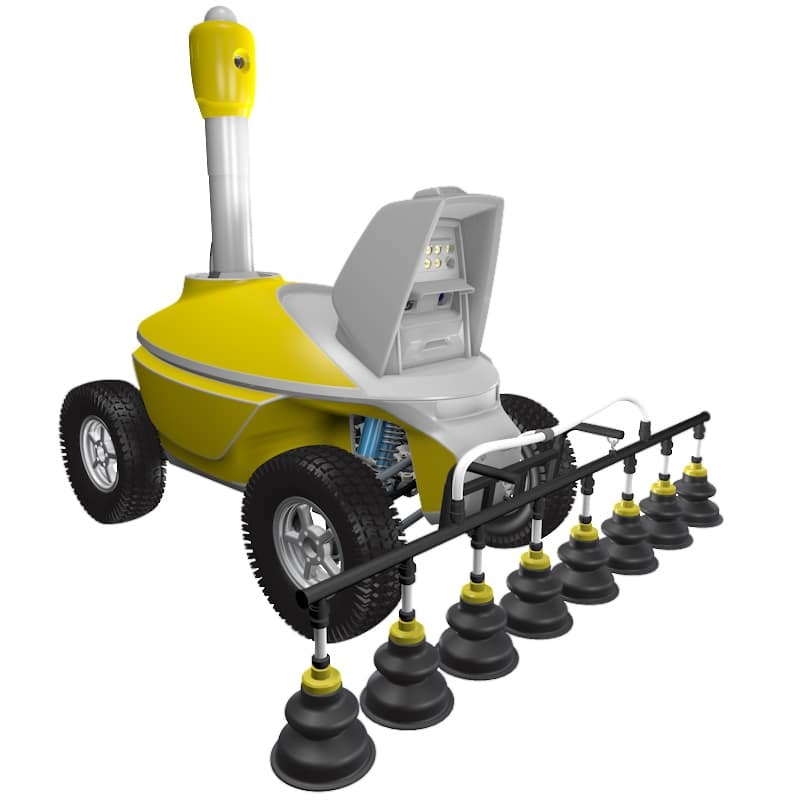 The S5 HD Robot is designed for remote video surveillance of equipment locations and personnel areas. The S5 PTZ Robot is capable of mobile video surveillance of the area adjacent to the gas facility. The S5 ALPR Robot, equipped with an automatic license plate detector, is capable of an automatic control of cars parked on the enterprise’s premises. In spite of rigid environmental protection measures taken by oil companies, incidents resulting in oil spills still occur. It is possible to minimize potential environmental and wildlife damage, especially involving birds, by scaring them away from the oil spill area. Propane guns located along the perimeter of the oil spill area or along the oil-contaminated shore will make enough noise to scare animals and birds away, thus saving their lives and saving your company from the consequences. To create long-ranged noise barriers, using mobile robots capable of moving around and securing a significantly larger area is accomplished well, especially as compared to using a stationary scaring system. The S9 Propane Gun Robot is capable of automatically cruising around the area or along an oil-covered shore and scaring away such wildlife. This series is equipped with a less-powerful bird flock scaring system. Due to the quieter scaring sounds it makes, it is well-suited for controlling the entire area of a petrochemical facility with minimum discomfort to onsite personnel. Thanks to automatic movement capability, these robots ensure reliable protection of technological equipment areas where there are too many obstacles for acoustic waves to spread without fading quickly.